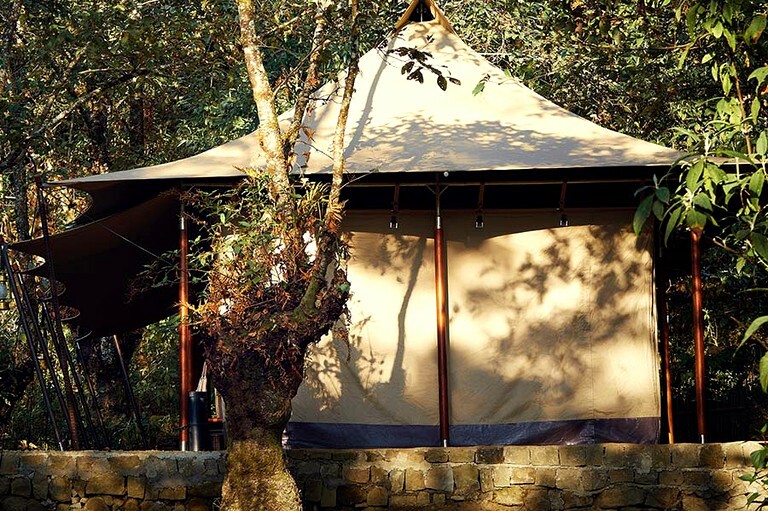 These beautiful tent rentals in Kohima, Nagaland, are the perfect base for a unique and glamorous camping experience with a loved one. 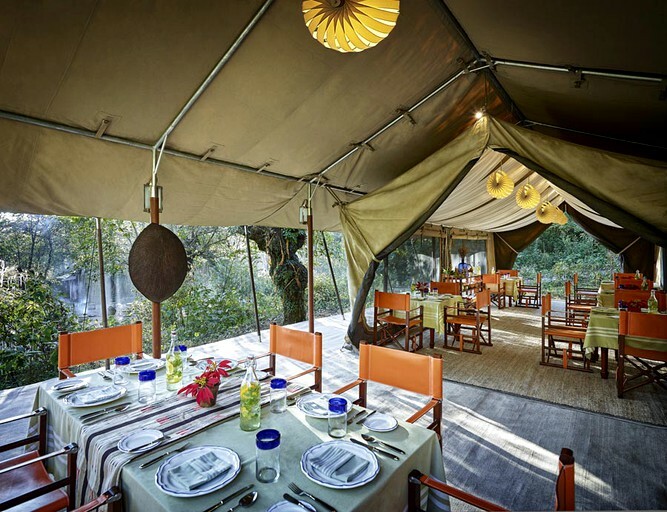 These large, self-contained tents sit on a wooden deck above the ground. 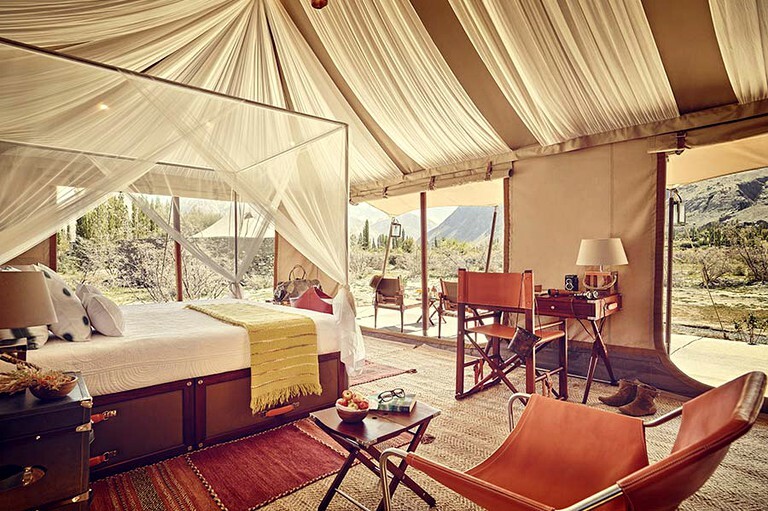 Each tent has a private sit-out that overlooks the mountains. 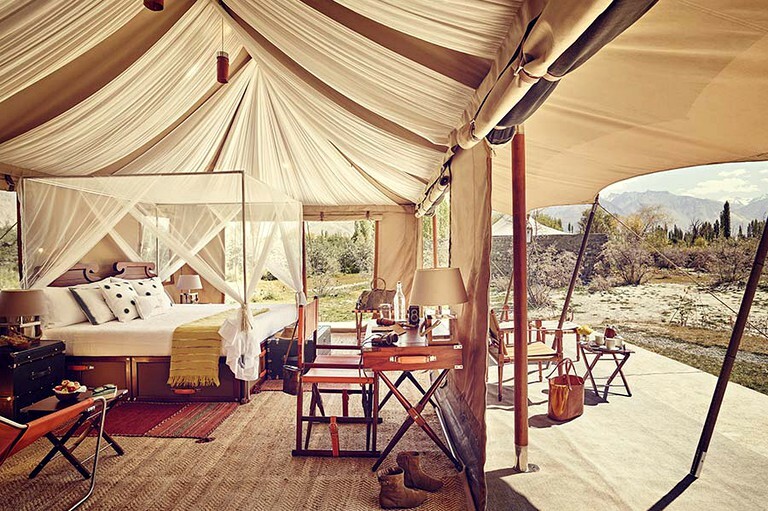 These luxury camping accommodations are triple layered to enhance natural insulation and made with anti-weathering and fire retardant fabric. 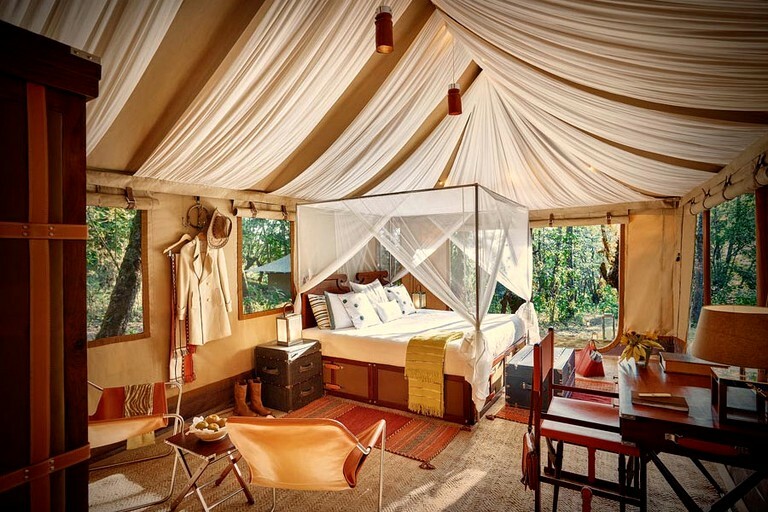 These spacious tents enclose a cozy bedroom and en-suite bathroom. Large, netted windows invite the mountain vistas, whilst a personalized butler service makes the stay as comfortable as possible. 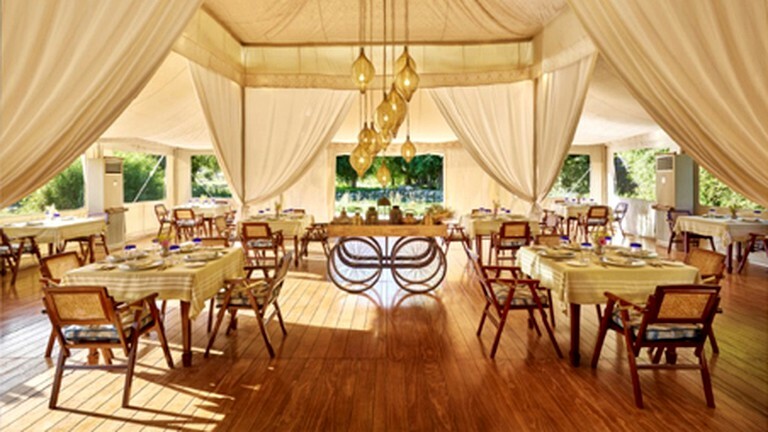 There is a dining tent on the property, offering indoor and outdoor sitting, fresh, organic and local garden ingredients, along with international, national, and regional cuisine. There are an in-house bakery and complimentary culinary classes too! The chefs take into account all dietary requirements, if any, while preparing meals. 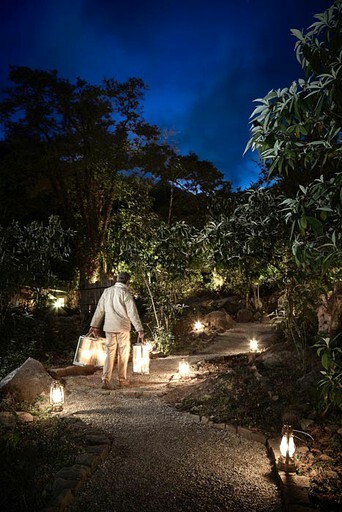 Lit by the power of the sun, the pathways illuminate the glamping site in the evening. 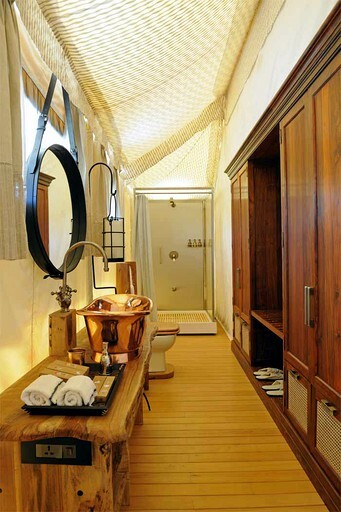 Each property has an en-suite bathroom with running hot and cold water and a personalized butler service. 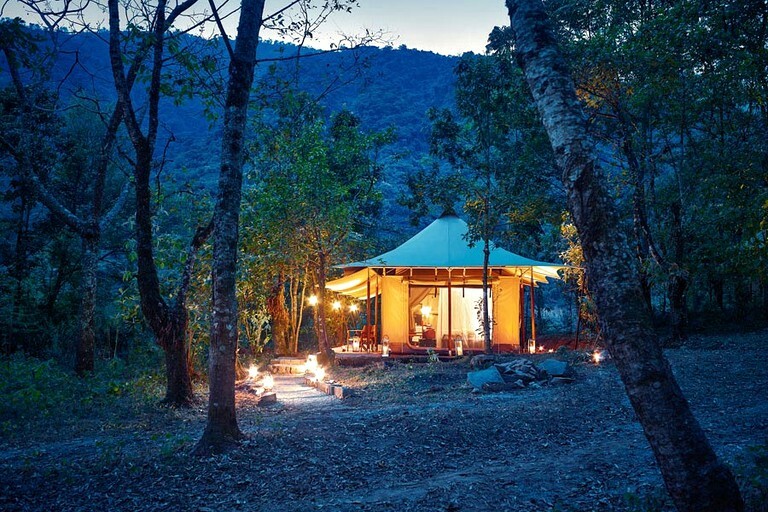 This beautiful glamping site coincides with the ten-day Hornbill Festival, an annual melange of cultural displays from all 16 tribes of Nagaland, showcasing their rich heritage in this colorful pageant. Each day brings forth their vibrant performances, crafts, sports like archery and wrestling, food fairs, games, and religious ceremonies. 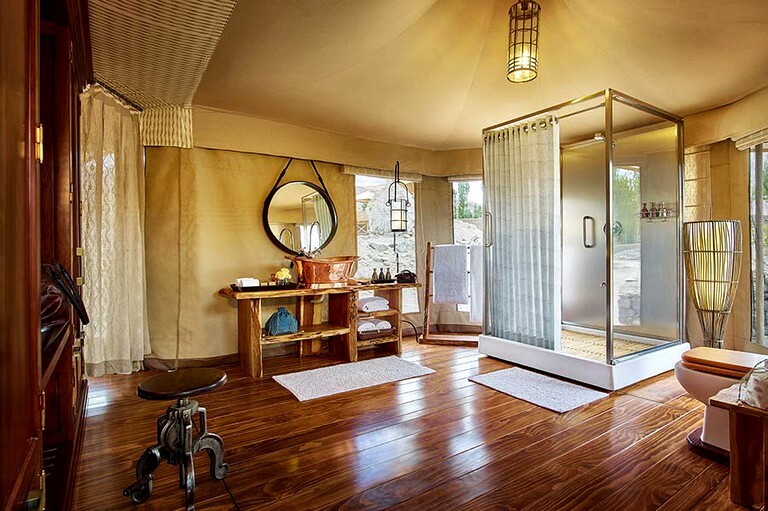 Guests can relax on this peaceful and gorgeous property in individually designed tents, with en-suite bathrooms, crisp linen, and the services of their very own butler. 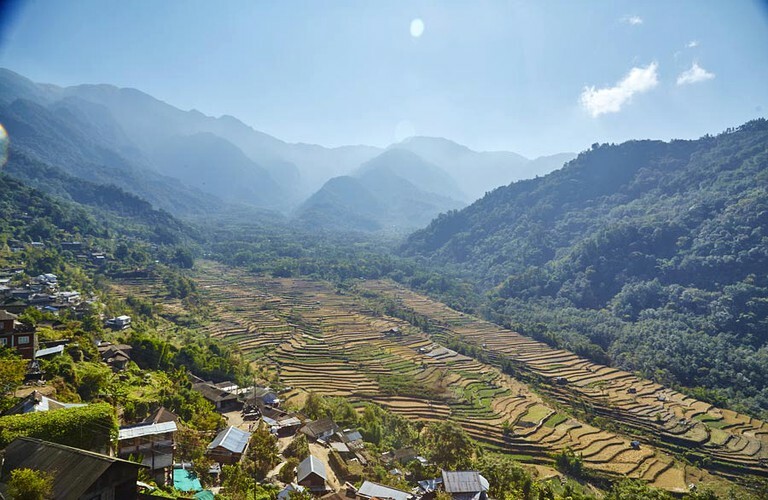 Enjoy a drink of the local rice beer, savor delicious tribal recipes, and participate in celebrations of the unique Hornbill Festival. 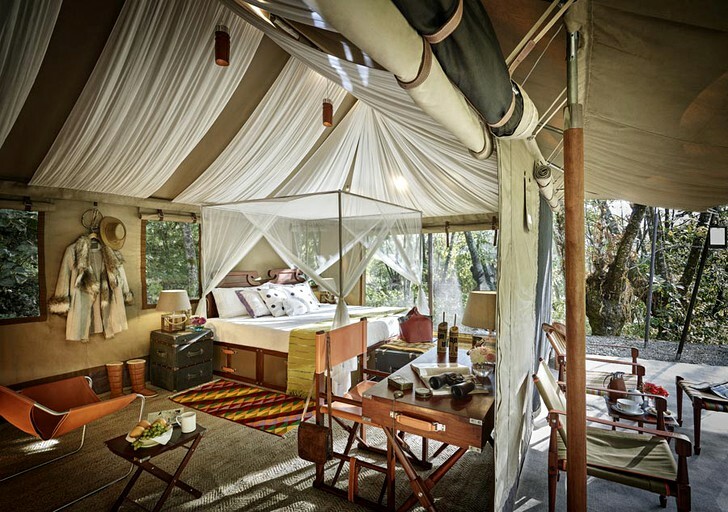 If exploring is more something guests wish to do while glamping at this site, the center of Kohima is approximately 30-minutes by car. Kohima War Cemetery, Kohima Museum, and Shilloi Lake are all incredible attractions to check out. Japfu Peak also offers beautiful views and is a great hike. Other activities in the area include dining, shopping, bird watching, and trekking.